Holly Grimm is a painter and digital artist based in New Mexico. She recently completed Creative Applications of Deep Learning With TensorFlow, and her work made quite a splash in the course. 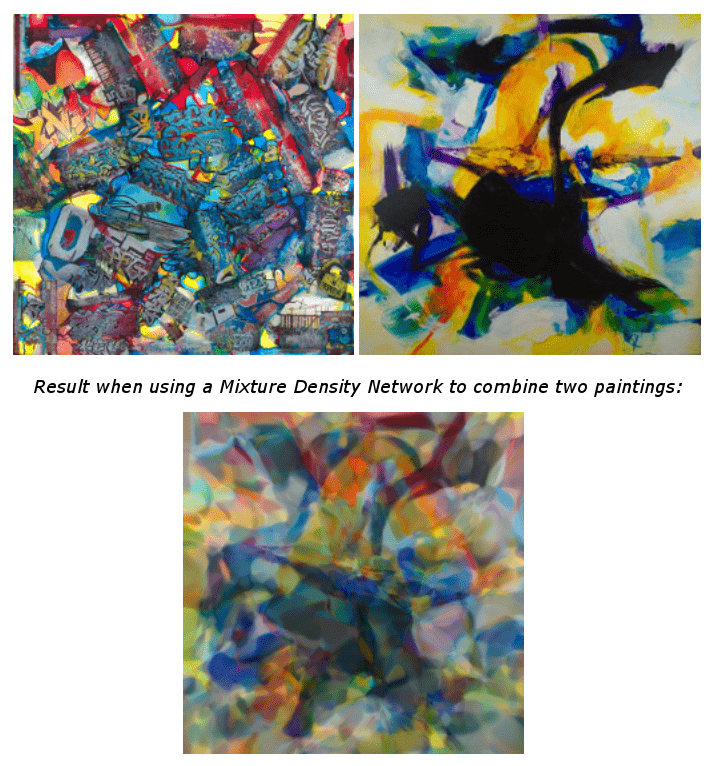 Not only were her projects ambitious and distinctive, she used her own paintings as datasets for training her models. We interviewed Holly via email to learn more about her work and what she’ll do with her newfound knowledge, and included some standout pieces—including image manipulations of her paintings and WaveNet syntheses of both jazz and Sylvia Plath readings. Have you taken other online courses focusing on Deep Learning? If so, how do they compare to CADL? I’ve taken Andrew Ng’s Coursera courses. He starts by showing us the math to implement backward propagation without frameworks like Tensorflow. Later, he focuses on optimization strategies as they relate to supervised learning. This education is good for tasks with specific goals, however art, poetry, and music generation can be more subjective. I found that the unsupervised learning methods taught in CADL were far more appropriate for art. What was your favorite part of CADL? I appreciated being introduced to state-of-the-art unsupervised learning networks like CycleGAN, PixelRNN, seq2seq, and WaveNet. With these networks, we were able to generate complex graphic, poetry, and audio fragments. The best part is that these technologies were based on research that had only recently been released. What was your favorite coursework that you submitted, or that you saw from another student? 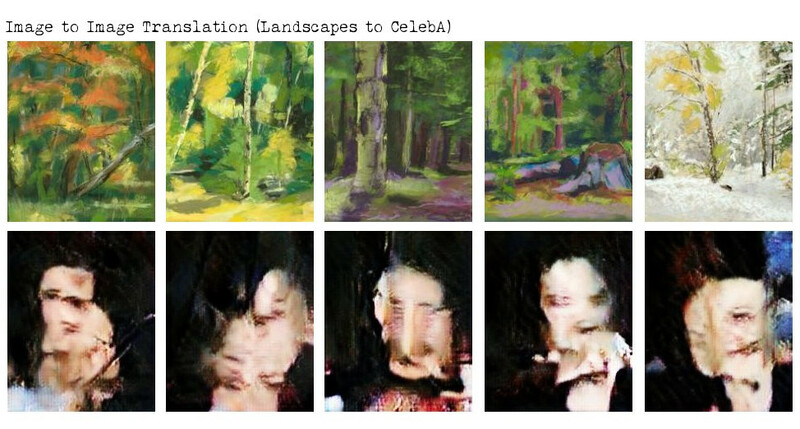 I was most excited by the results produced from training the CycleGAN network on two image spaces: the first being my landscape paintings and the second, photos from the CelebA dataset. The landscapes2portraits network pulled facial features out of the landscapes and generated figurative work with a painterly surface. What was the most challenging material in the course? The concepts were progressively more challenging as the course went on. I found the implementation of Recurrent Neural Networks somewhat difficult. As a result, I found myself training the more difficult networks with the default hyperparameters. Yet, I was still able to get interesting results. What is your biggest complaint about the CADL program (we can take it)? I wish there were more students taking part in the later courses of the program. It will be great if Kadenze provides a scholarship program in the future, allowing more students to take the courses. Will you continue to learn more about Deep Learning, and if so, what are your plans? I would like to continue to expand upon the projects that I started in CADL. First, by training the models on multi-GPU machines in the cloud, then by reviewing the research papers to modify hyperparameters, or the datasets to get even more interesting results. Are you interested in pursuing education, research, or job opportunities? If so, what would be your ideal position? I’d like to explore more ways to combine my skills as a visual artist with Deep Learning. I’m fascinated by how “Machine Aesthetics” is evolving. For example, the “alien way” that AI plays chess and the unintelligible English that two AI agents created. Human art has compositional principles like variety, contrast, repetition, unity, and balance. Are there other aesthetic principles that an AI can detect by analyzing art through the ages? Are there new aesthetic principles that an AI can build on their own? Are there any projects you’ve been inspired to make now? I’d like to expand upon the CycleGan landscapes2portraits project I started in the second course by either creating higher resolution images that can be printed, or using the low resolution images as studies for larger paintings. What advice would you give to students just beginning CADL? Projects are due every two weeks so you should start right away by watching the videos and getting the test code running. That will leave you plenty of time to come up with an idea, compile a dataset, and train the model. If you aren’t seeing any interesting results, you may need to stop the training early and modify the input dataset.